The office was formed by Jamy Buchanan Madeja, Esq. in 1995; Ms. Madeja has been practicing environmental law since 1988. The firm is certified as a women-business enterprise (WBE) by the state government and disadvantaged-business enterprise (DBE) by the federal government. 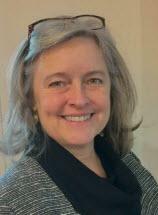 Ms. Madeja is also a registered Massachusetts lobbyist and is certified as a mediator in dispute resolution proceedings. Ms. Madeja, Esq., is a Massachusetts lawyer with special expertise in environmental permitting and land use decisions, particularly wetlands, “Chapter 91” and waterfront licensing issues, and legislative testimony on environmental and land use matters across the Commonwealth. Before founding Buchanan & Associates, Ms. Madeja represented numerous public and private entities as an associate at Mintz, Levin, Cohn, Ferris, Glovsky & Popeo, P.C. She then represented the Commonwealth of Massachusetts as the General Counsel of the Executive Office of Environmental Affairs, appointed by Governor William F. Weld. Buchanan & Associates hires additional lawyers and technical experts as needed, on a case-by-case basis. Buchanan & Associates provides traditional legal services and government relations services. Buchanan & Associates' clients range from mid-sized corporations and trade associations to small neighborhood groups and municipal departments. A sampling of matters handled is attached. What our clients often have in common is the need to obtain a specific environmental or land use result from their dealings with a government entity (such as a permit or an operating agreement or a change in policy or public funding for project elements). When Buchanan & Associates represents neighborhood groups or government entities such as municipalities, the common need is often the same, only in the inverse: to achieve a specified result in the dealings with government entities, such as the Department of Environmental Protection, or to reach agreement with development entities. Ms. Madeja's experience as General Counsel to Governor Weld's Executive Office of Environmental Affairs, overseeing all legal, enforcement and regulatory affairs for five separate agencies, has been very useful to for-profit and not-for-profit clients, particularly in devising strategies for achieving cost-effective, prompt results. Since then, her daily communications with regulators and legislators on behalf of clients has kept her special expertise current. Many clients engage Buchanan & Associates for the specific purpose of using Ms. Madeja's services only. Others desire Buchanan & Associates to engage subcontractors, including engineers, wetlands specialists and other technical experts. In all matters, Ms. Madeja personally supervises the work product and all strategic decisions.